Give your child an experience they will never forget! Depending on the program chosen, YMCA Cedar Glen campers may participate in archery, climbing wall, mountain biking, arts and crafts, swimming lessons, and horseback riding. Campers will have the opportunity to swim daily in one of two outdoor, in-ground pools. All camp programs are supervised by highly trained YMCA staff. The YMCA camps have long history and tradition in Canada, and Cedar Glen is an example of both of those. The programming is solidly based in the traditions, which is something that attracts families. There is also a nice bit of breathing room--days are active, but not to the point of exhaustion. It's a nice pace through the day. Programs are also reflective of the core values of the YMCA: mind, body, and spirit. Those values are a very nice piece of the offering, and one that rightly is a draw. The location--closer to the GTA than most Y camps--is also a plus. Visit us for the start of the Spring season for a great opportunity for families and friends of all ages to visit our site! We'll have tons of fun outdoor activities going on for all ages along with opportunities to win prizes! Speak with our staff and learn about our summer day camps and outdoor education programs. Visit us for a great opportunity for families and friends of all ages to visit our site! We'll have tons of fun outdoor activities going on for all ages along with opportunities to win prizes! Speak with our staff and learn about our summer day camps and outdoor education programs. 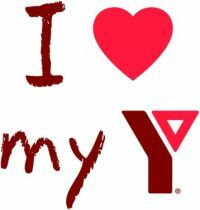 Thank you for your interest in YMCA Cedar Glen. YMCA Cedar Glen is a special place where campers can enjoy the outdoors, make new friends, learn new skills, and gain confidence. Our day camp programs, available for campers aged 4 - 16, cover a wide variety of skills and special interests, allowing all of our campers to find an area where they can excel. YMCA Cedar Glen's day leadership development programs offer teens between the ages of 13 and 16 the chance to learn and grow their leadership skills through interactive sessions and hands on practice. With over 263 acres of rolling countryside, forests, streams, and trails under an hour from downtown Toronto, YMCA Cedar Glen is the perfect choice for your summer camp experience this year. If you have any questions about YMCA Cedar Glen's summer programs, or would like to come for a visit, please feel free to contact me at any time! This summer, seven students from Philip Pocock Catholic Secondary School volunteered at YMCA Cedar Glen Outdoor Centre as part of their school’s co-op program. While many teens spend the summer sleeping in and hanging out with their friends Agnes, Martha, Katrina, Mary, Natalie, Katrina, and Egzona spent the first four weeks of their summer vacation riding the bus to and from camp each day. Finding a co-op placement can be a daunting task, but for Katrina and her fellow co-op students, choosing Cedar Glen was a no-brainer. After visiting Cedar Glen last fall on a school trip, they were excited for the opportunity to return and complete their placement hours. For some of the students, it was also the first time that they experienced summer camp. Over the course of the four weeks, they helped run variety of camp programs, including Natural Arts & Crafts, Creative Arts, Dance and Drama, Environmental Science, Outdoor Adventure, and Cooking. Their energy and enthusiasm played a vital role in shaping each camper’s experience. Combined, these students gave over 1,000 hours of their time. During the months of July and August YMCA Cedar Glen Outdoor Centre, located near Bolton, Ontario is transformed into an outdoor day camp for 500 boys and girls aged 4 – 16. 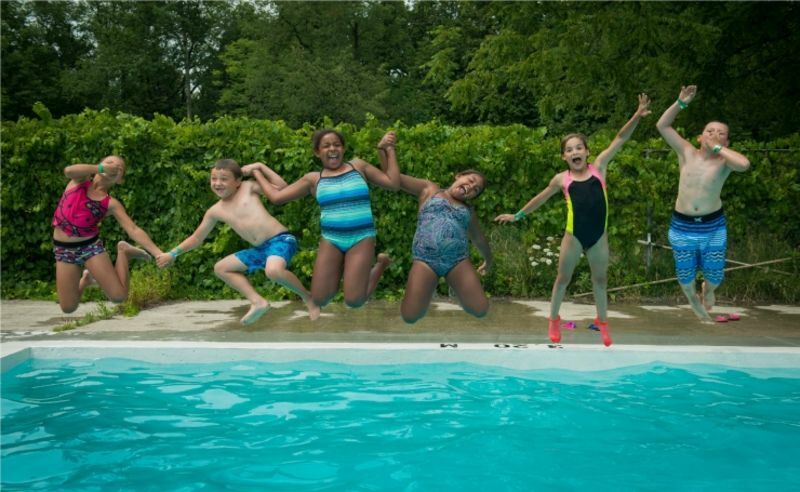 While at Cedar Glen, campers participate in a variety of age appropriate programs and activities in the outdoors including: recreational sports, climbing wall, arts and crafts, archery, swimming, fire building, environmental learning, theme days, overnight campouts, and day trips. Working closely with staff mentors, campers are encouraged to try new things, learn skills, make friends, and have fun in a safe and supervised environment. YMCA Cedar Glen also runs a variety of leadership development and hiking programs for youth aged 12 – 16 who may be interested in becoming camp staff in the future. More information regarding YMCA Cedar Glen’s day and hiking camp programs and busing options from across many areas of the city can be found online at www.ymcagta.org/camps. For more information or to contact YMCA Cedar Glen call 905 859 9622 or to register call 1 877 303 2267.